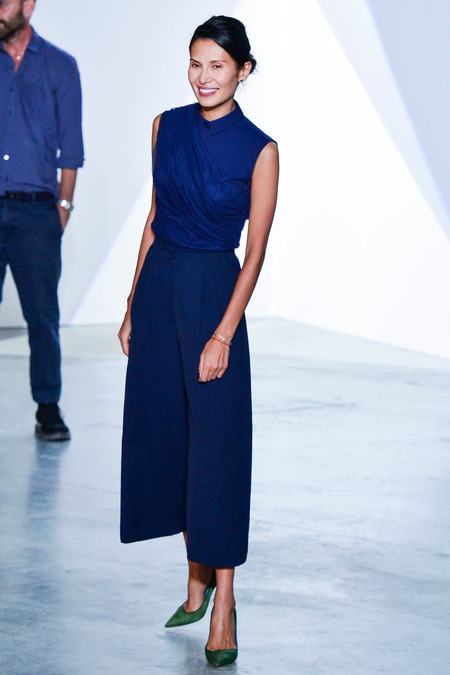 The polished cropped wide-leg pants in cool navy is timeless as seen on designer Goga Ashkenazi. A career wardrobe essential, these classic Natalie Fit Stretch Pants help you look sophisticated and chic while keeping you comfortable. 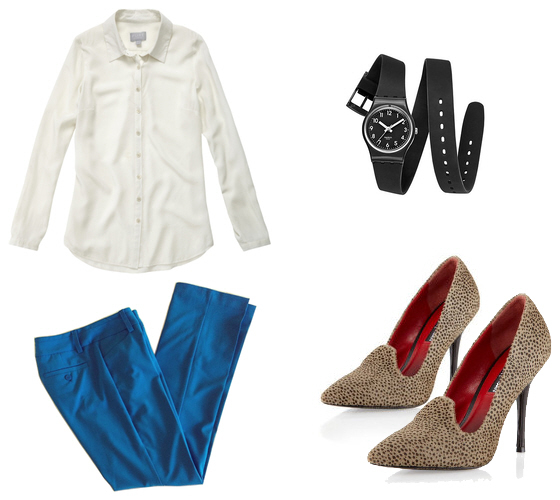 Black wide-leg pants topped with a contrasting light blouse give the look a crisp, fresh feel. I’m a big fan of cropped ankle pants all year round. 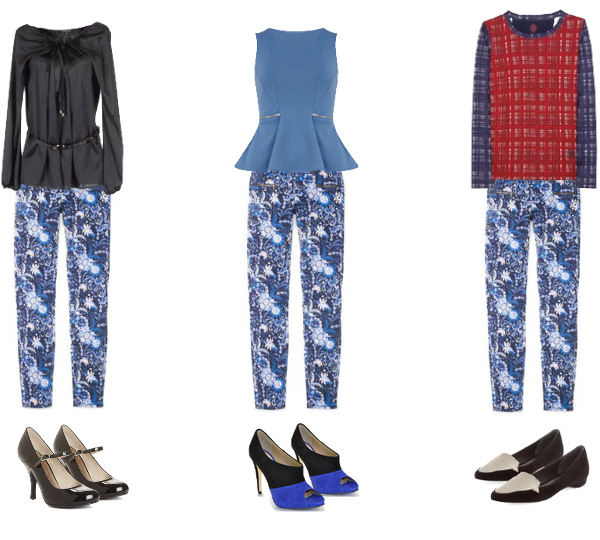 Stop getting stuck in the print rut by applying these easy-to-wear print ensembles. 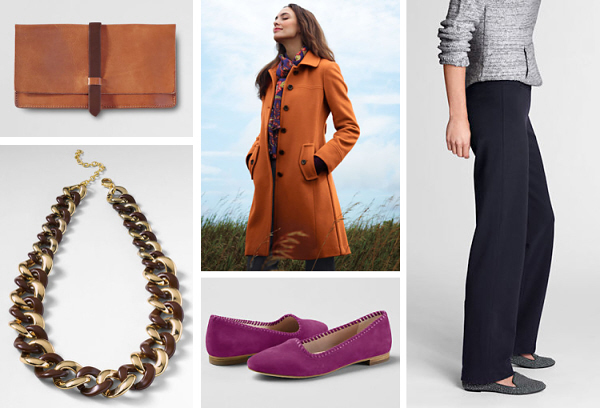 The warm blue is a perfect complement to your neutral staples. Many of the items from Land’s End are available in a variety of colors and sizes including regular, petite, tall and plus. 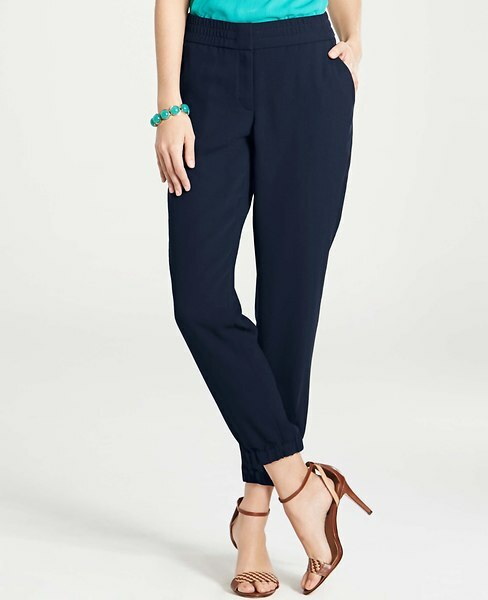 Polka dot pants are oh-so-chic while whimsical. 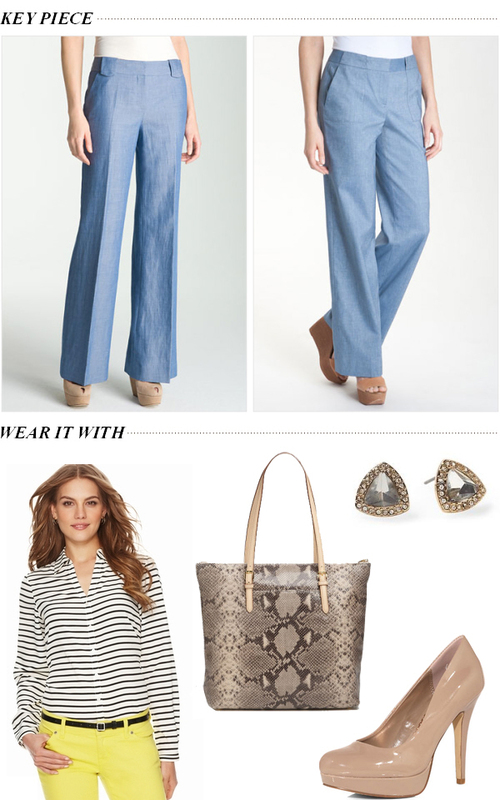 Here are two chambray pants in trouser style that are fantastic for office wear.